Do you know what is almost as good as being an only fur baby? Being the favorite fur grandbaby! 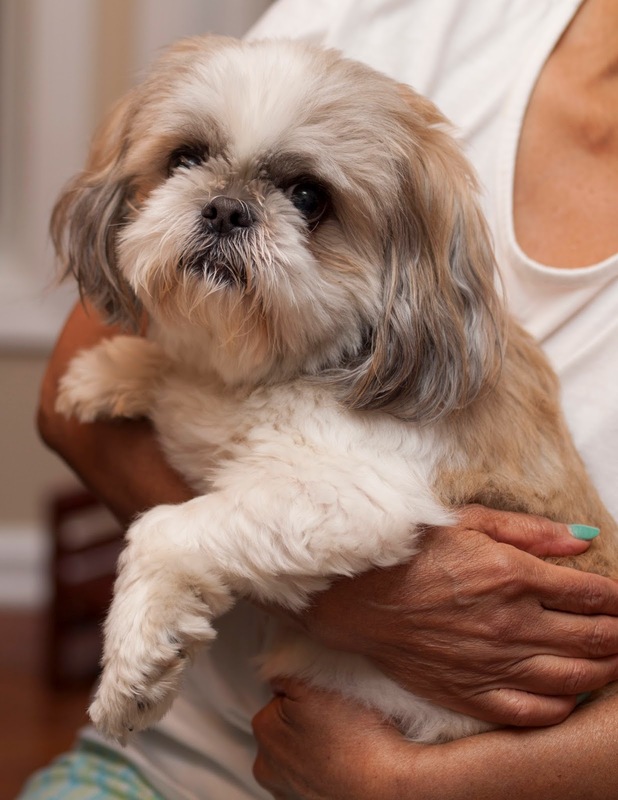 Shih Tzu Mom's parents came to visit us this weekend. Mom's mom is from the Philippines so we call her the Tagalog word for "grandma" which is "lola". Shih Tzu Lola and Papa love coming to see me. You can see above how Lola just couldn't put me down. Do you know how else I can tell that I am the favorite grand puppy? Because she has my picture as the home screen on her phone. If I beat out the human grandkids you know I have to be someone special! 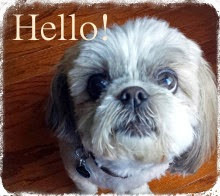 My favorite thing that I did with Shih Tzu Lola (other than the cuddling of course!) was work in the yard. I like being in the yard so I kept Lola and Mom company and supervised as I am very good at doing that. I stayed out there almost the whole time. The only part I don't like is the big scary leaf blower. 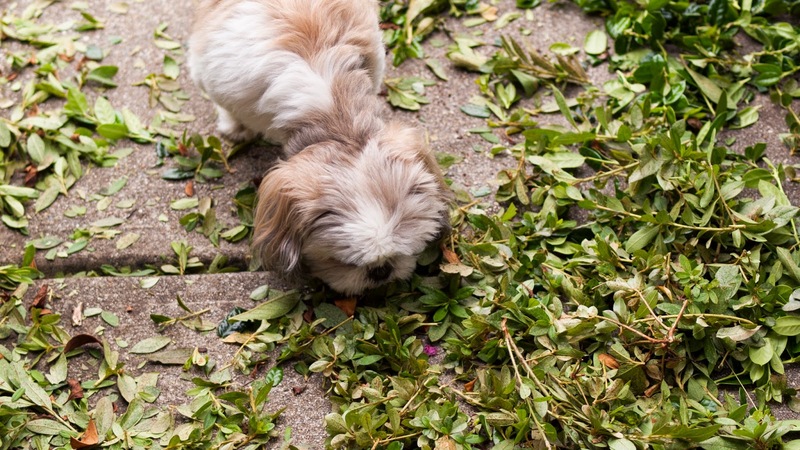 Why Shih Tzu Mom can't just sweep is beyond me. 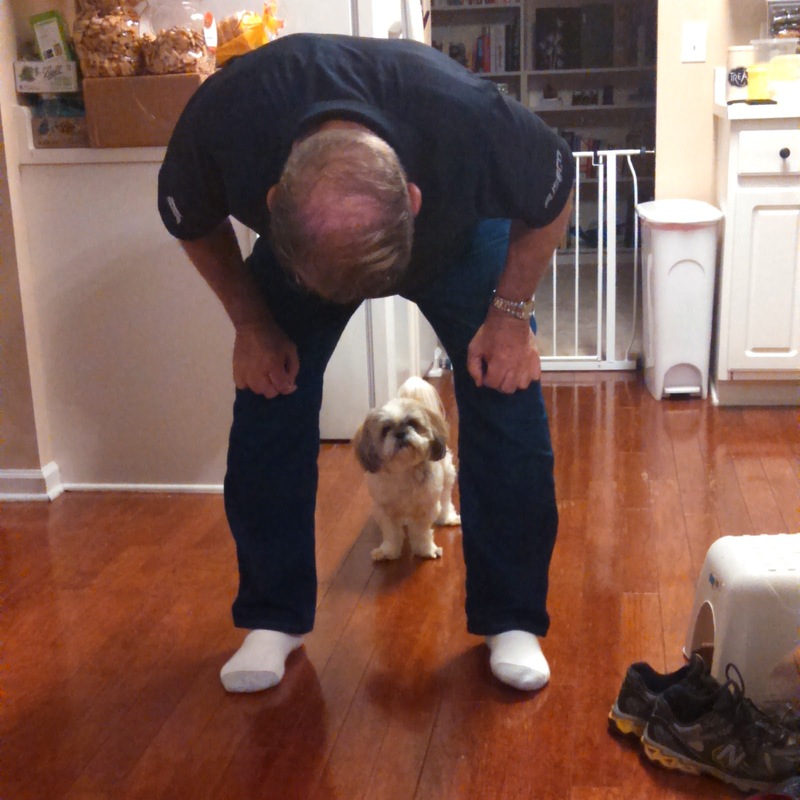 Now don't worry, Shih Tzu Papa didn't get left out of the fun! We played an indoor game, hide and seek! Oh hi. How did you find me?